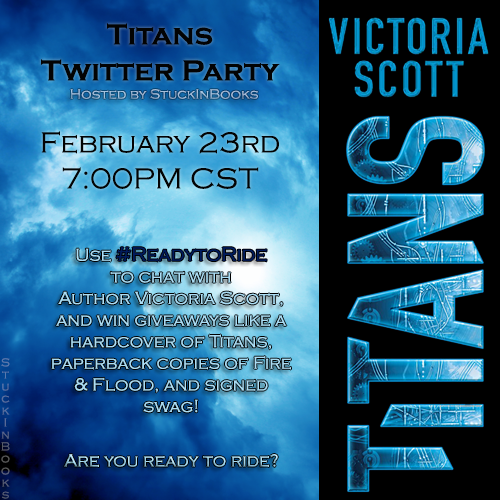 Stuck In Books: Twitter Party ~ Titans by Victoria Scott! We're hosting a Twitter party to celebrate the release of TITANS!!! There'll be a Q&A with Victoria Scott, and the chance for attendees to win books (including Fire & Flood and Titans) and signed swag! We are SO EXCITED and hope to see you there! !